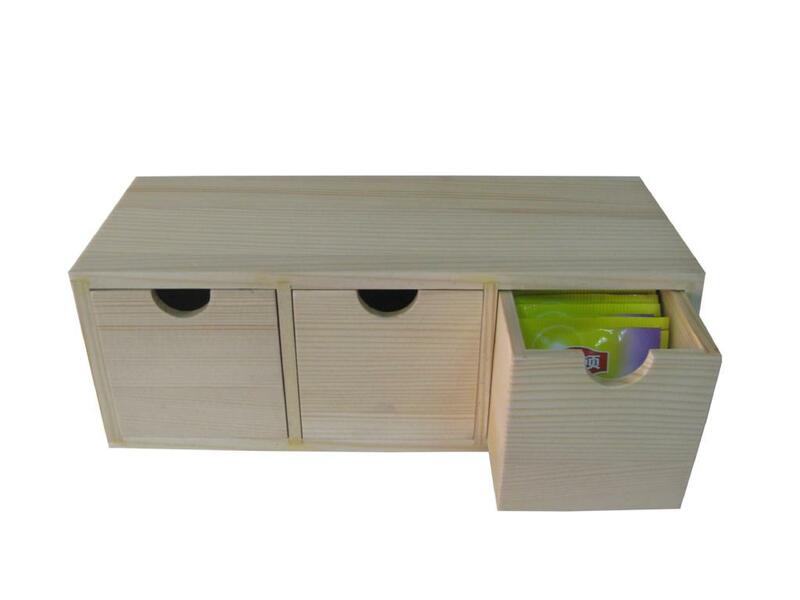 With a contemporary style, this wooden tea chest is perfect for homes or small establishments. 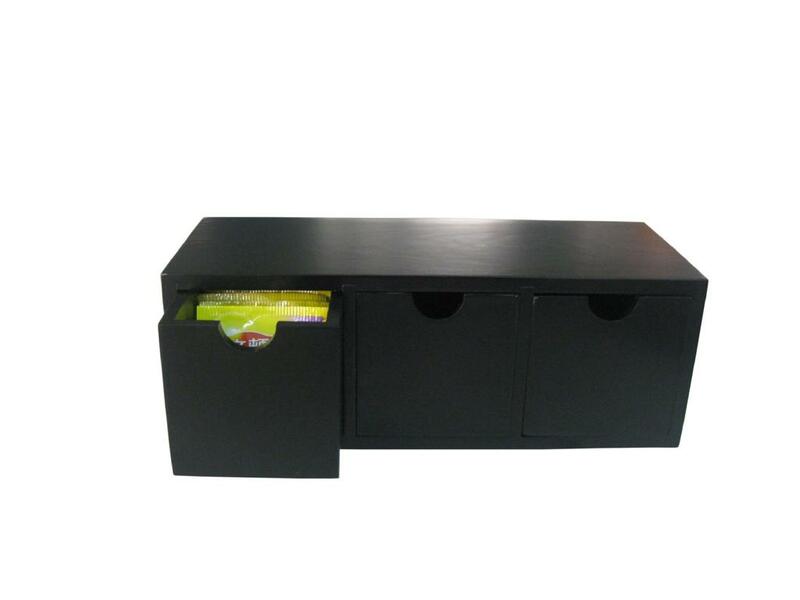 Featured here in a light stain that captures the natural grain and also shown in black, this tea wooden chest has 3 pull out drawers in which to choose your tea bags. Dimensions: 98x105x270mm. 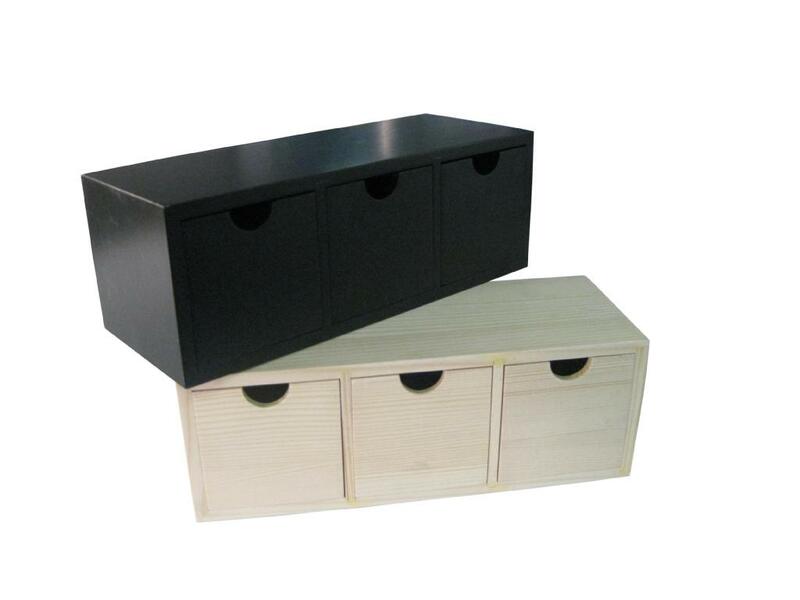 We take great pride in manufacturing the highest quality custom made wooden tea chests and tea packaging boxes for each and every customer. We have the skilled workforce and expertise required to meet any and all of your wooden box needs.